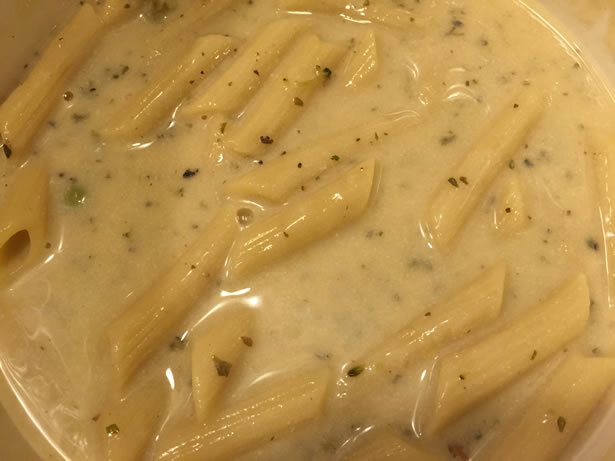 A delectable pasta made with our thick white Primavera Sauce. With real bits of broccoli and peas, you’ll get just the right amount of vegetables. This Pasta Primavera meal will be one of your instant favorites. Sale ends 3/07/2016 so act fast! 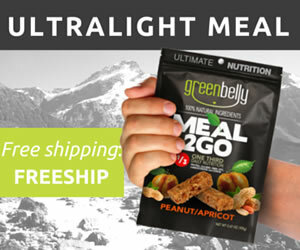 Valley Food Storage currently have 18 healthy ready-to-go recipes that are packaged in thick mylar pouches, available in two sizes; a large 5 serving pouch for a meal ideal for two people, and a smaller 2 serving pouch perfect for backpackers. Each pouch is Nitrogen flushed and hand sealed providing a 25-year shelf life. I was talking with James Tolboe from Valley about why they do not have any recipes with egg as the primary ingredient. He explained to me that their focus is on healthy food storage meal kits free of MSG, Trans Fats and Cholesterol, and with a 25 year shelf life. He went on to explain that ingredients like eggs require preservatives to extend their shelf life beyond 10 years. 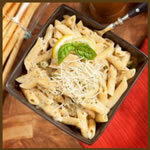 Many of their recipes are dairy free and/or gluten free to meet the needs of those with special dietary needs. 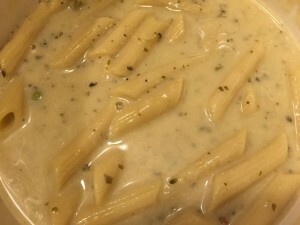 The Pasta Primavera from Valley Food Storage is a creamy penne pasta dish with bits of broccoli and peas that provides as much as 360 calories and 7 grams of protein per serving. It is one of their recipes that is not dairy or gluten free, but it does use natural sea salt for flavor. Preparing the pasta primavera was really very easy. To make the 2-serving dish, I simply brought 2-cups of water up to a rolling boil as specified in the directions, then I wisked the contents of the pouch into the pot and turned the flame down. After cooking 15 minutes at a gentle boil, and stirring occasionally, I turned the flame off and let it stand for another 7 minutes. The noodles were cooked perfectly, but the sauce was still a little watery. In spite of the loose sauce, everyone in my family still enjoyed the dish. But it wasn’t until I added a healthy dose parmesan cheese that they really loved it. This is one hearty dish that my family would eat any day of the week, emergency or not, and it is extremely easy to cook. One of the best common sense rules of food storage is “Store What You Eat and Eat What You Store.” With dishes like this one, it really makes it easy. As with everything, quality ingredients do come at a premium, but Valley Food Storage provides special offers regularly making quality food storage more affordable to the masses. My family gives it two thumbs up! 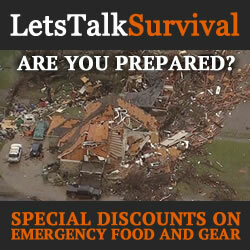 Valley Food Storage believes that food storage should be healthy, convenient and taste delicious. To achieve this they only use the best natural ingredients that contain the necessary vitamins, nutrients and dietary needs to not only allow you to survive, but to thrive! They also wanted to create products that allow people with dietary restrictions to store fantastic tasting meals that align with their dietary needs. Their top priority is making sure that you have high quality food storage options and that each choice will taste amazing.